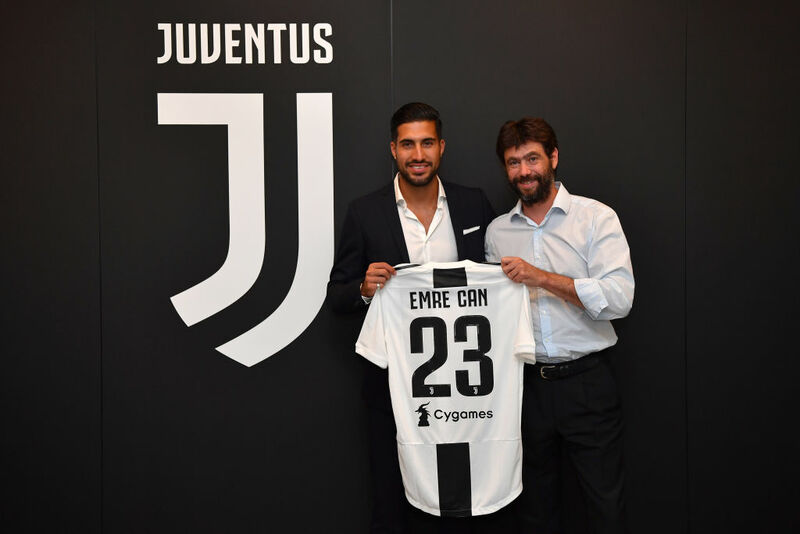 It was one of the worst-kept secrets in European football last season, but now it’s official – Juventus have confirmed the signing of Emre Can. It had already been confirmed earlier this month that the German international would be leaving Liverpool this summer after four years at Anfield, and the cloud of speculation finally lifted on Thursday when Can arrived in Turin to have a medical and put pen to paper on a contract with his new club. The 24-year-old joined Liverpool in a £9.75m deal from Bayer Leverkusen in 2014, going on to make over 160 appearances for the Anfield side in all competitions, his last coming as a late substitute in the Champions League final defeat to Real Madrid last month. His representatives had been in contact with Liverpool regarding a contract extension for much of last season, but it had become clear early on that it would be a big ask for both parties to come to a satisfactory agreement. Manager Jurgen Klopp would like to have kept Can at the club, but always maintained an air of relaxation about the prospect of losing the former Bayern Munich man on a free transfer. Liverpool have already moved to replace Can in the transfer market, with the £40m signing of Fabinho from Monaco confirmed late last month.